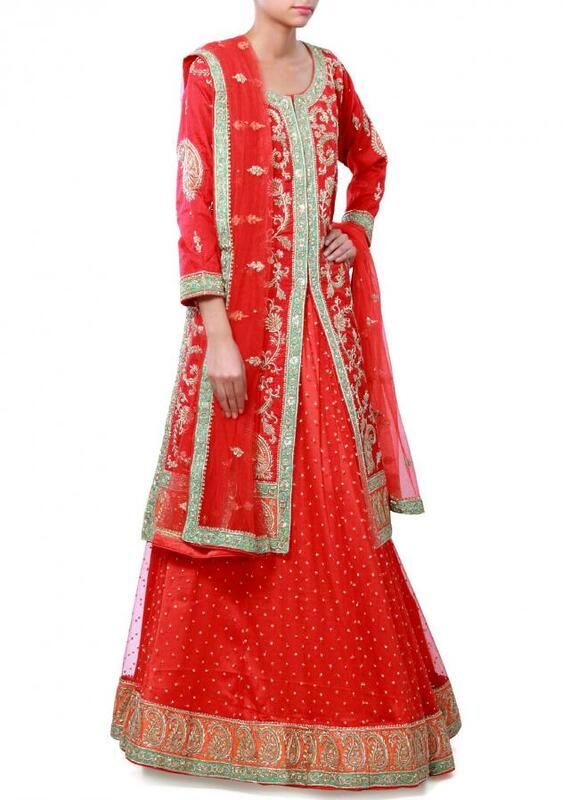 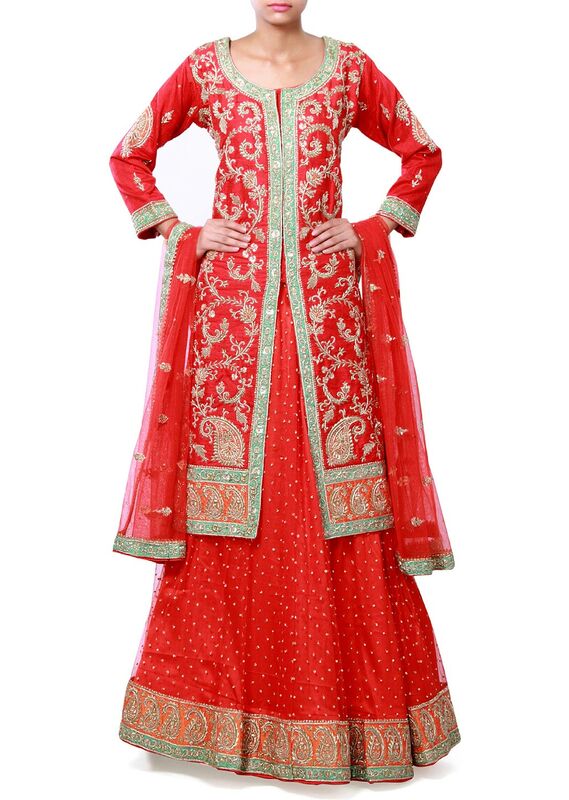 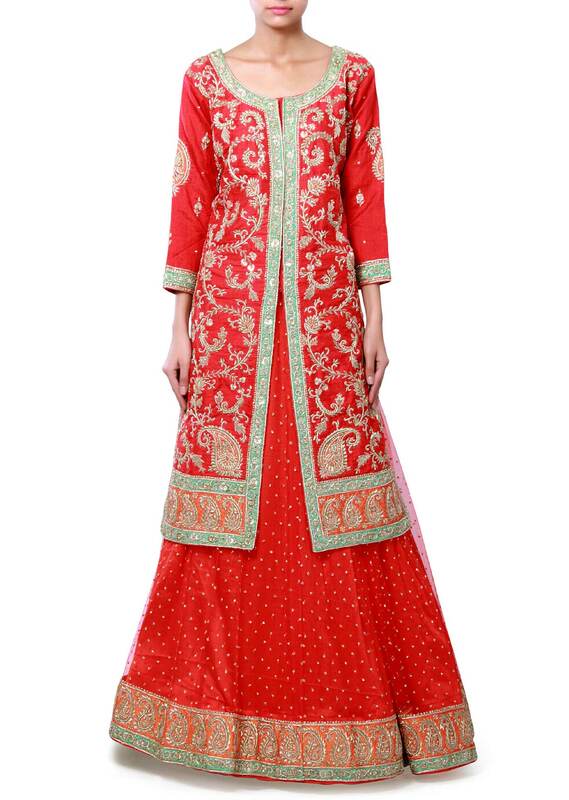 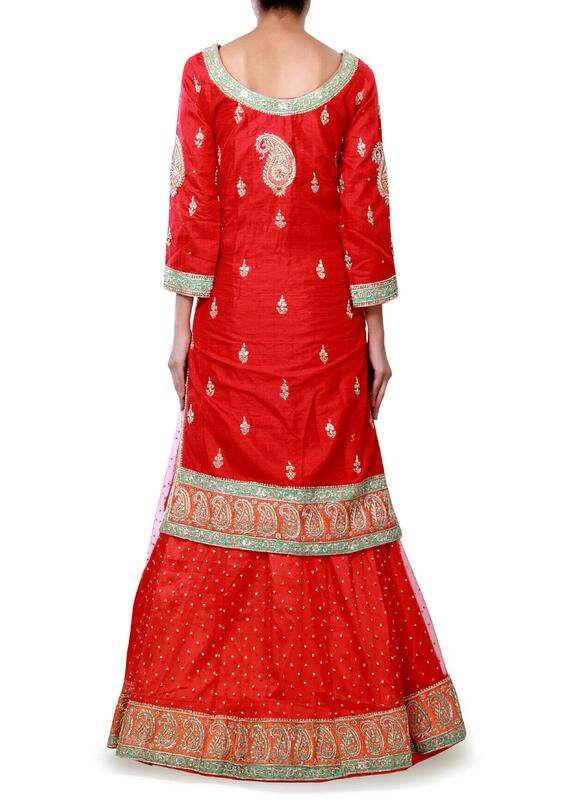 Red unstitched lehenga featuring in net with embroidered hem line border. 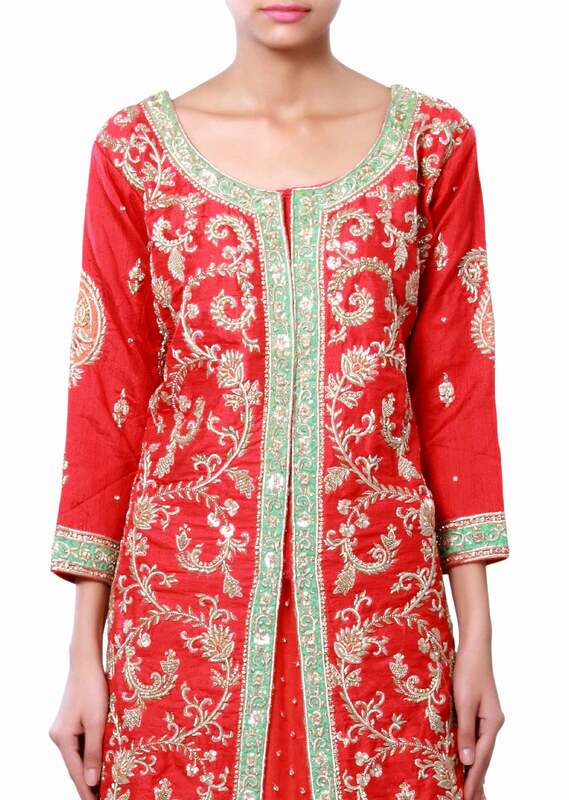 Matched with long jacket blouse in raw silk with zardosi embroidery all over. Dupatta is in red net with embroidered border.